OK, who's buying all the Heinrich Dark Strong Flake? Even right between the cart and check out, the third vendor was OOS before I could pay! And is it me, or every time I look on sites, prices go up a buck per 50gm tin? 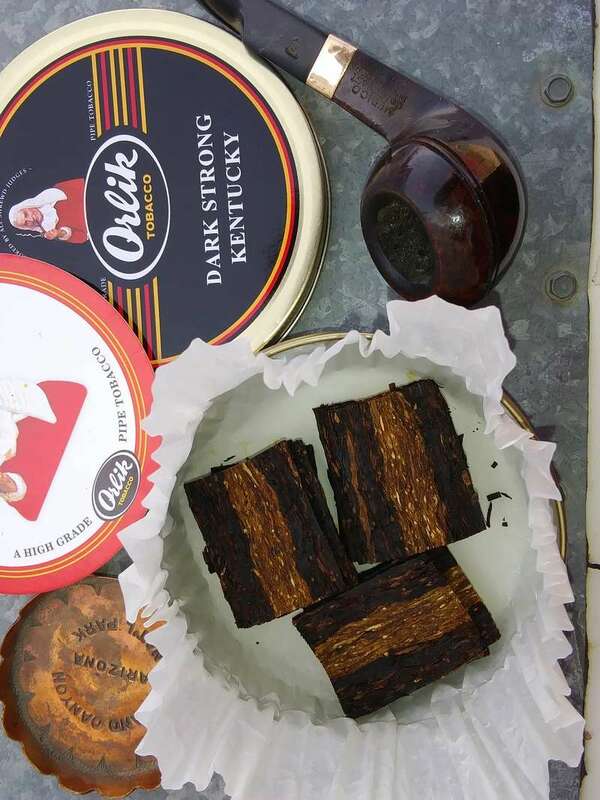 Just get some Orlik Dark Strong Kentucky, in that case, which is the original. I find it better. Hummmm it wasn't me this time. They do seem to be popular. Blends of that style. Why? The Orlik stuff comes in intact flakes. Its the PH that looks like a naughty schoolboy was peeling bark off a tree. It’s not me. I didn’t do it. In fact I didn’t know that many were that interested in it. Maybe I should get out and about more. On second thought, I’ve got plenty of my favorite blends in my stash so I’ll just continue to sit in my recliner and enjoy what I have. You boys just scrap among yourselves. I’m sure some will show up somewhere. Looking at Huffelpuff's pic, now I feel compelled to order some more DSK. You won't regret it. It's good. It has more depth of taste then PH's version. Ozzie, put in a one-time alert on SP. And be prepared to grab it as soon as it comes back into stock. Good idea! I'm going to check out the Orlik version, and look into pressing a block of something similar. I've got to say though, that making blends at home in small batches is pretty labor intensive. Fortunately I enjoy passing the time that way, but it's not a great income If I enjoy it I'll check out Heinrich Dark Strong. I just seem to be a bit behind the panic buying wave going on.